Prevention is the key to fighting many infectious diseases. Part of preventing the spread of an infectious disease includes proper hand-washing techniques; taking certain precautions depending on the disease; following the nationally recommended immunization schedule for children and adults; and taking medications correctly. Even with proper prevention, sometimes a disease is unavoidable. Some reasons include evolution of drug-resistant strains of a disease; changes in a person’s environment; increased travel; inappropriate use of prescription drugs; and lack of attention to proper personal hygiene. Infection can spread rapidly in a small child and involvement of a pediatric infectious diseases specialist can make all the difference. 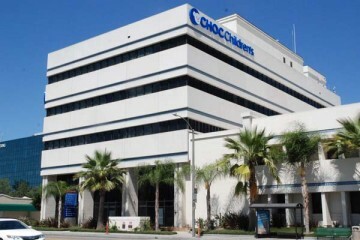 CHOC Infectious Diseases specialists are highly experienced, board-certified pediatric subspecialists who understand the changing nature of infectious disease, particularly the complexities of pharmacodynamics in relation to a child’s immune status, developmental stage and possible environmental risks. They provide the early diagnosis and intervention necessary to prevent the complication and further spread of serious, life-threatening illnesses, including viral infections and complex or resistant bacterial and fungal infections. To schedule a consultation or office visit with a CHOC Infectious Disease specialist, please call 888-770-2462.